Farmers throughout the Cedar River watershed in Minnesota attended an event to learn about how a partnership can help achieve long-term economic and environmental health of their farms through sustainable farming practices accessed through the public-private collaborations like the Cedar River Watershed Partnership. Launched last year, the Cedar River Watershed Partnership is Minnesota’s first public-private-nonprofit partnership that provides farmers with tools and resources to help them adopt new farm management strategies to improve the soil, water, and economic health of their farms and address water quality challenges in the Cedar River Watershed. Hosted at the Hormel Foods Sales Cabin, the event Partnering for Profitability: Connecting the full set of farm services for your bottom line, walked farmers through practical farming strategies, reported back the farmer and community impacts in the first year of the partnership and demonstrate what sustainability means to Minnesota’s farm community. In the first year of the collaborative effort, the partnership worked with farmers in the Cedar River Watershed to identify practices and resources for improving farm health and water quality throughout the region. 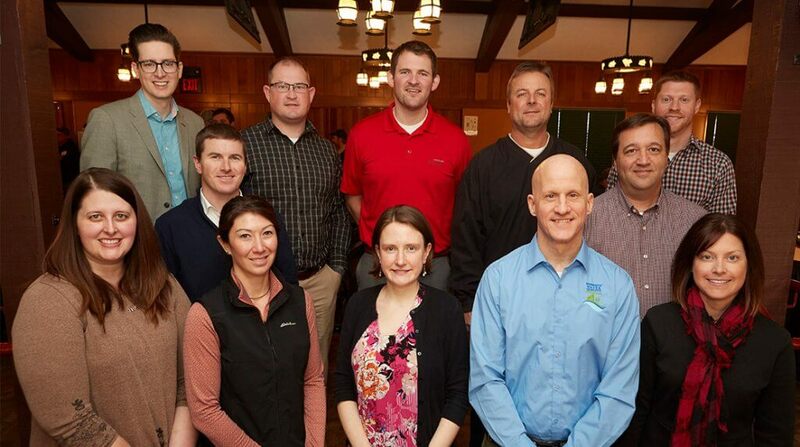 Project partners have worked with dozens of farmers over the past year, with the hope of increasing the number of participants in the Minnesota Department of Agriculture’s program in 2019. Partners work with farmers to identify the most impactful and practical farming strategies and provide them with the tools and resources to help implement changes with the goal of reaching certification through the Minnesota Agricultural Water Quality Certification Program. This effort minimizes red-tape for farmers by coordinating guidance, services, and resources amongst partners so that, no matter who the farmer contacts, they can get the support they need. Some of those changes may include grid sampling / soil sampling, no-till / strip-till, cover crops or variable rate technology (VRT). In order to meet the demand of this program, the Mower County Soil and Water Conservation District is adding a position dedicated to working with farmers to identify resources available. Communities in the Cedar River Watershed, an area of roughly a half-million acres, increasingly face water resource issues like flooding and sedimentation, leading to property damage and unsafe drinking and recreational water. Fortunately, the adoption of improved farming strategies on agricultural land is a powerful tool to achieve water quality improvements. Convened and managed by Minnesota nonprofit Environmental Initiative, the Cedar River Watershed Partnership is a collaboration of Central Farm Service, Hormel Foods, Land O’Lakes SUSTAIN™, the Minnesota Department of Agriculture and the Mower County Soil and Water Conservation District.